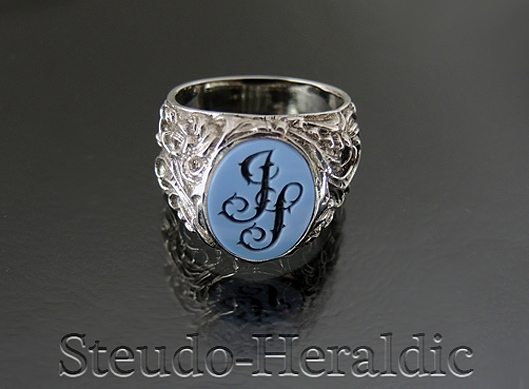 On the following pages I present you some signet rings and coat of arms engravings of mine, which already fascinate their owners, who live in solidarity with tradition! 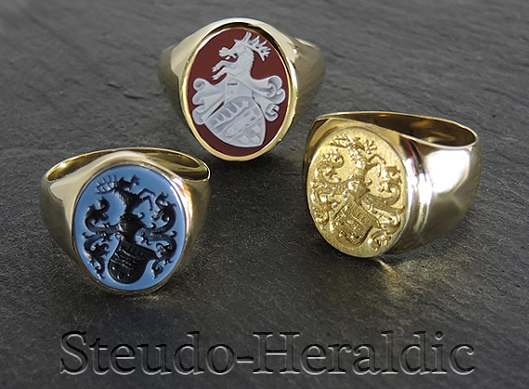 Fine signet rings made by by master hand in various shapes and sizes, set with the gemstones of your choice. 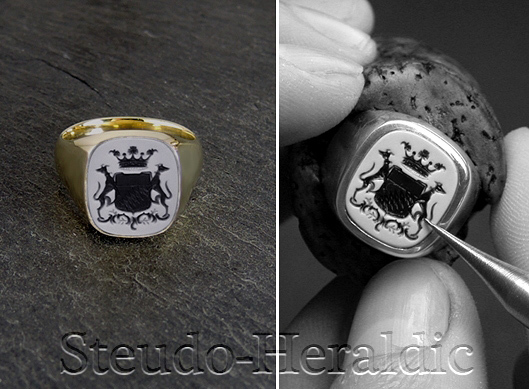 A timeless signet ring refined with a coat of arms engraving stands for tradition and expression of your personality. A monogram is two or more connected letters, which I would like to design according to your wishes in different styles. It is my aim to realize every individual customer wish in highest precision and in finest masterly execution with love for detail to a personal, unique piece of jewellery for eternity. 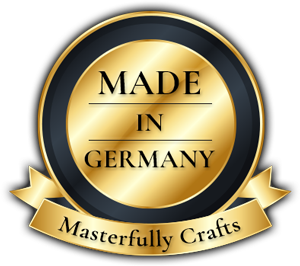 I would be happy to count you among my regular customers and to introduce you to my passion for hand engravings in precious stones as well as the exciting field of heraldry. Live in harmony with the tradition of beauty. For 25 years the company has been located in Oberhambach near the famous jewellery town of Idar-Oberstein (Rheinland-Pfalz). With over 30 years of professional experience, I can offer you professional competence in the traditional art of heraldry.